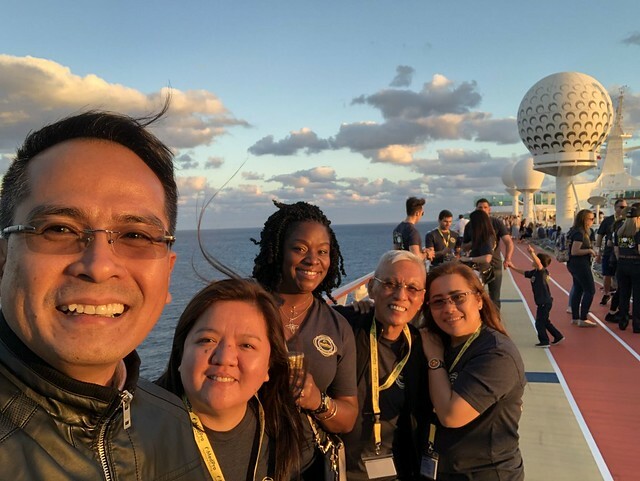 A Royal Caribbean holiday trip sponsored by MedPro. 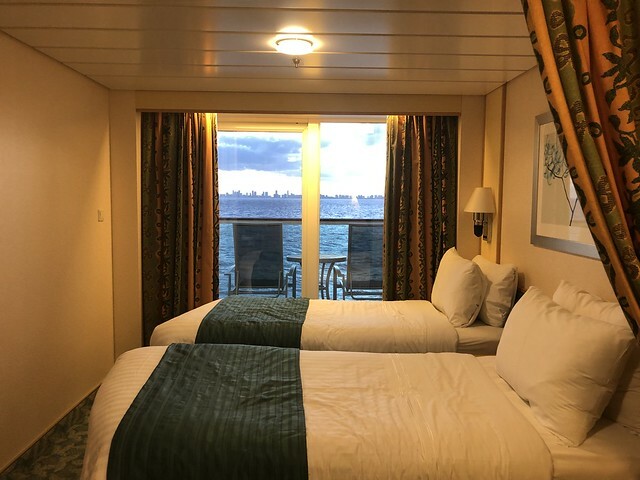 A yearly holiday cruise trip from December 6 – 10, 2018. From Fort Lauderdale to Cozumel Mexico. This will be my first ever Cruise. I am excited and its always been a dream to at least try a cruise. To my luck the company I work with has this yearly holiday cruise. Welcome to the Independence of the Sea! First day of Itinerary. 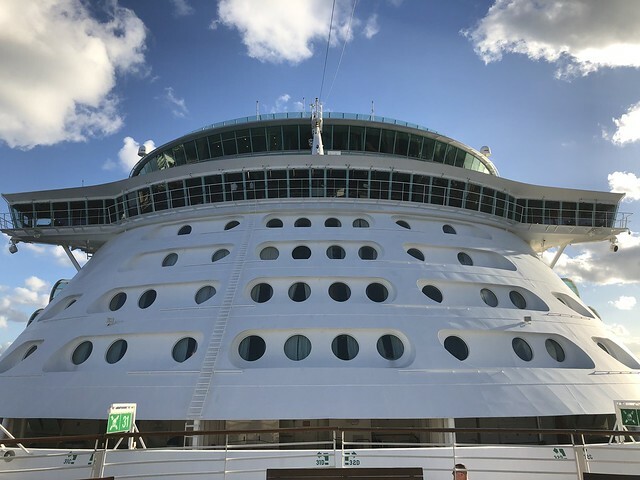 From the office we will be pick up by a bus to drop us to the port of Fort Lauderdale where the Royal Caribbean – Independence of the Sea is docking. Outside the port of Fort Lauderdale, Florida, waiting for others to check in. 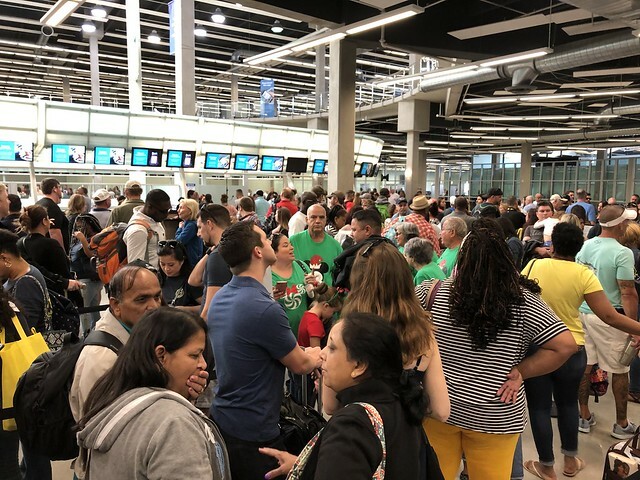 Inside the check in counter of the port of Fort Lauderdale. The line was long but people are patient enough to wait for their turn. Everyone is excited for the cruise. We waited at least 45 minutes in the line to have our turn. This was my first and good thing I have someone with me to guide me what to do. I presented my travel documents and my US I.D. to be able to board the Independence of the Sea. I was nervous, I thought they may not let me board because the lady in the counter don’t know the Identification I gave her. She called two supervisors to help her out. Good thing, they where able to enter my identification in their system. The entrance to the Royal Caribbean – Independence of the Sea. I was so excited to board, I forgot to take photos of our way to the ship. 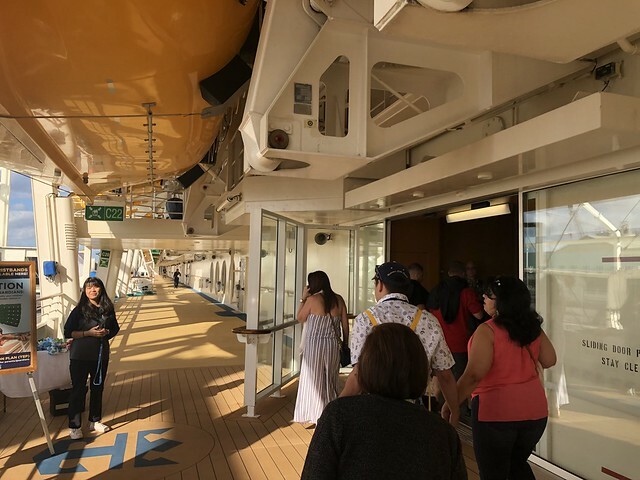 The following photos are taken inside the Royal Caribbean – Independence of the Sea. 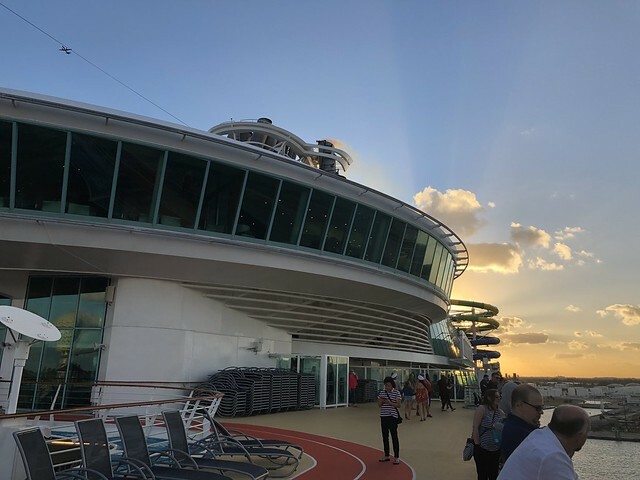 As you enter the Royal Caribbean – Independence of the Sea, I was in awe. I didn’t imagine how big and beautiful the structures and the architecture inside, as if you are inside an office building. 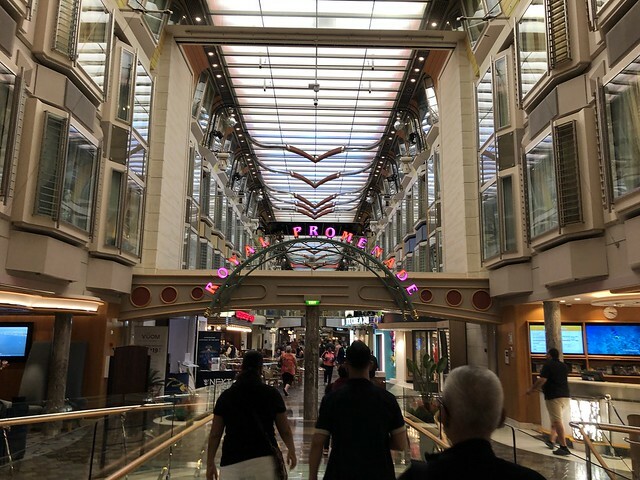 Royal Promenade of the Royal Caribbean – Independence of the Sea. 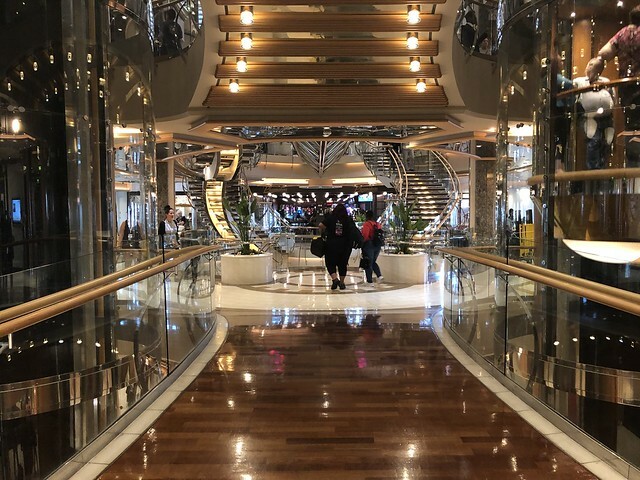 The Royal Promenade is located in the first floor of the Royal Caribbean. Wherein you can find different dine in area, stores and fun area where they perform and people dance. 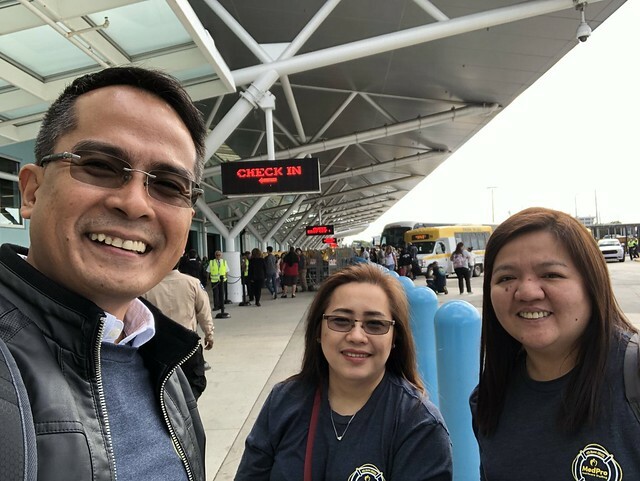 With Grace and Rachel from our Philippine Office. The Golden Hour. 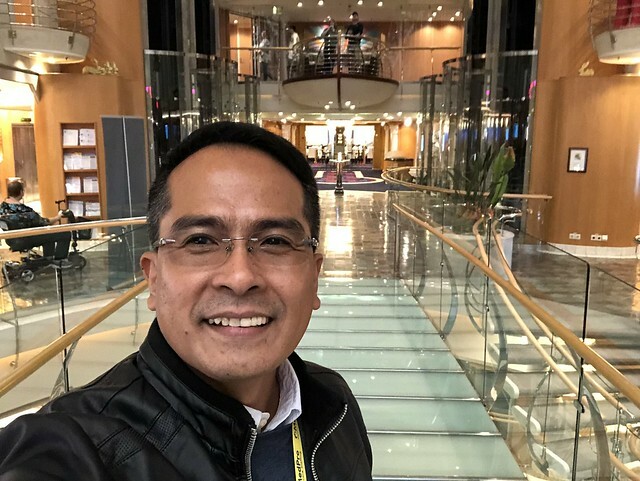 Royal Caribbean – Independence of the Sea. 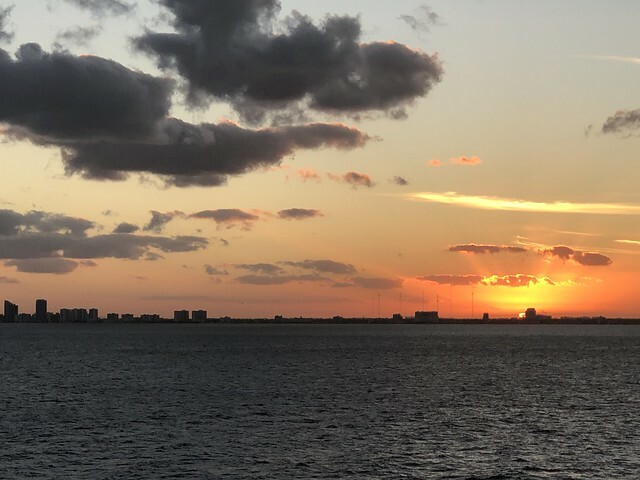 The Sunset as we cruise away from Fort Lauderdale. The first day of the cruise is exciting. 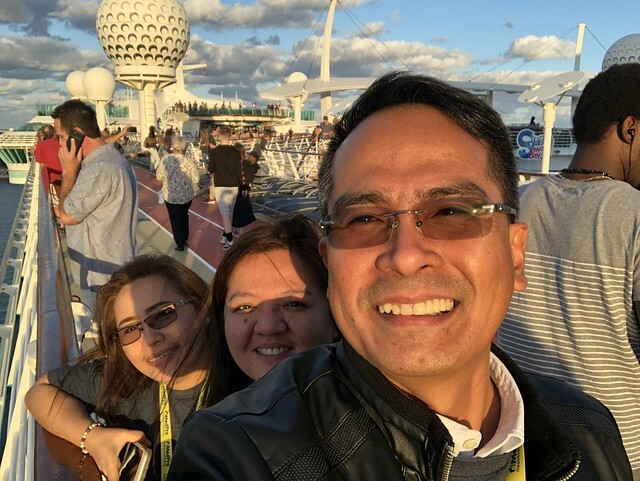 As we enjoy each other company plus beauty of the view, specially the sunset. This is just the first day. More photos to follow in my next post about my first ever Royal Caribbean – Independence of the Sea holiday cruise. Thank you for the visit, your Pinoy Adventurer.